This Zaful romper is beyond GORGEOUS. And it’s under $30.. how insane is that?! I have even seen this exact piece at other retailers for double the price, so Zaful is the place to buy it! I love wearing rompers because they are short enough to pair with over the knee boots, and dresses don’t always work. (Short girl probs!) Even if you aren’t in the market for a sassy little romper, Zaful has some other amazing fall merchandise to spice up your wardrobe! 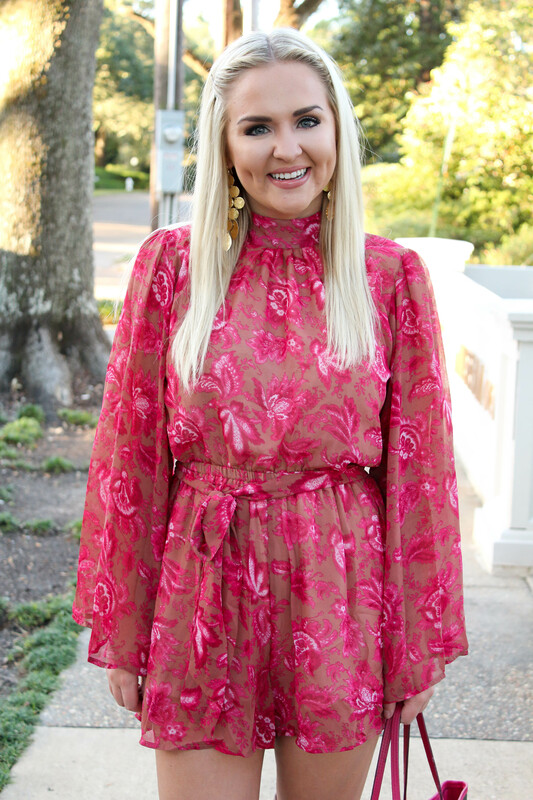 (Some of my favorites HERE, HERE, and HERE) My romper is linked above and the rest of my outfit is in the carousel below! PS: Sign up for LIKEtoKNOW.it emails HERE to shop my Instagram posts so much easier!